What Does the Growth of Nondenominationalism Mean? The future of American religion is increasingly being driving by the nones and nons—the religiously unaffiliated and the denominationally unaffiliated. A new Gallup study finds the percentage of Americans who identify with a specific Protestant denomination has fallen from 50 percent in 2000 to 30 percent in 2016. That can be tied to a surge in Americans who say they have no religious preference and those who say they are nondenominational Protestants. From 2000 to 2016, nones rose from 10 percent to 20 percent, while nondenominationals almost doubled as well—climbing from 9 percent to 17 percent. As a whole, Protestants now make up less than half of the American population (47 percent), according to Gallup. Fewer than a quarter of Americans are Catholic (22 percent), down from 25 percent in 2000. Among Protestants, the most popular denomination is Baptist. Ten percent of Americans say they are “other Baptist,” while 3 percent claim to be Southern Baptist. Denominational leaders and pastors have their own theories about why nondenominational has grown at the expense of denominations. Kevin Smith, executive director of the Baptist Convention of Maryland-Delaware, was not surprised by Gallup’s findings. “Sadly, for many ‘Baptist’ is a sociological indicator rather than an exegetical or ecclesiological one,” he told Baptist Press. J.D. Greear is pastor of The Summit Church, a Southern Baptist church in Raleigh-Durham, North Carolina. He told BP the rejection of denominations may have more to do with stereotypes than doctrine. “While many say they prefer a nondenominational church, I think their biggest concern is not wanting to be a part of a church that fits their stereotypes of certain denominations,” he said. Who are the nondenominational Christians? Pew Research’s most recent religious landscape survey also found an increase in nondenominationals. 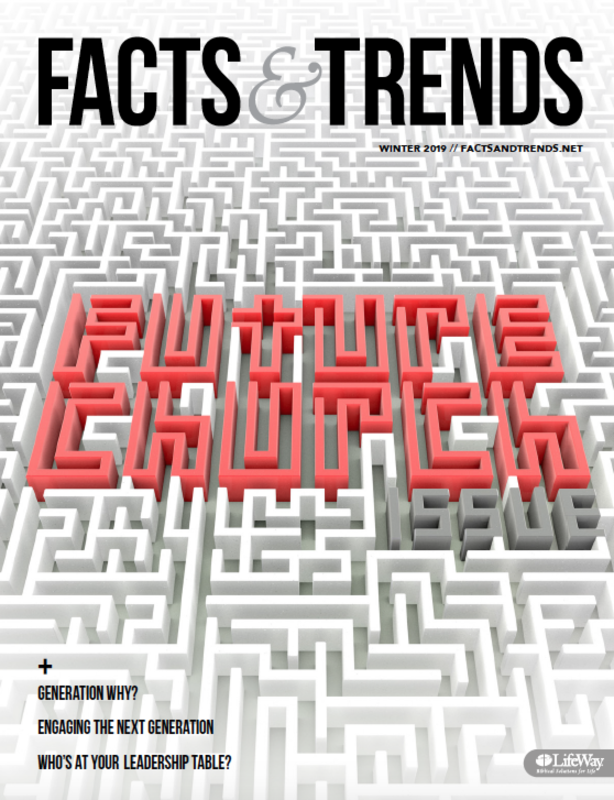 According to Pew, millennials seem to be more attracted to nondenominational churches than previous generations are. Among all Protestant denominational families large enough to examine, nondenominationals had the highest percentage of millennials—30 percent. While Baptist, Holiness, Presbyterian, and Lutheran denominations are all majority baby boomer and older, 3 in 5 nondenominational church members are Generation X or younger. Nondenominational Christians are also more diverse than many Protestant Americans. While 7 in 10 nondenominationals are white, that number is significantly higher for those who are Presbyterian (81 percent), Baptist (85 percent), Holiness (88 percent) or Lutheran (92 percent). Nondenominationals are also the Protestant group most likely to be parents with kids at home, as 38 percent of all adult members of a nondenominational church have children under 18. What do nondenominational Christians believe? Some theologians worry the growth of nondenominationalism is part of a broader shift in American Christianity. “There is a trend toward what I call ‘generic Christianity’ that is very feeling-centered and pragmatic and somewhat anti-intellectual,” Roger Olson, a theology professor at Baylor University’s George W. Truett Theological Seminary, told Christianity Today. The good news, however, is that nondenominational Christians are often the group most likely to believe core Christian doctrine. According to Pew, they are the self-identified Christian group most likely to say they believe God exists (91 percent) and there are clear standards for right and wrong (57 percent). Self-identified members of a nondenominational church are also among the most likely to pray at least daily, say religion is very important to their life, attend church at least once a week, participate in a small group at least once a week, and read the Bible at least once a week. Smith, however, says doctrinal distinctives—those theological beliefs that make denominations unique—still have a role to play. “Historic Protestant identity and confessions will be more important heading forward because ‘evangelical’ is becoming more and more useless” as a way to describe people theologically. For Greear, the issue is more about what churches emphasize. “I don’t think the answer is downplaying our denominational affiliations, but ‘playing up’ gospel love,” he said.